This 232 page book has a spiral bounding for ease in the studio. This book is of particular interest to students and serious amateurs. 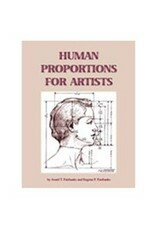 It discusses human proportions and includes profuse illustrations and tables of about 120 representative human measurements of both male and female figures in inch and metric dimensions for comparison from heroic size to 1/12 life size with 10 sizes in between. 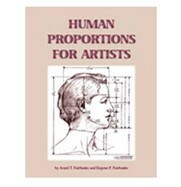 Includes chapters on: Historic Review of Human Proportions, Comparative and Relative Proportions, Anatomic Ratio Measurements in Human Proportions, Features of Hands and Feet, Design Balance and Rhythm, Simple Forms, Arches and Their Significance in the Human Body, Three Dimensional Forms and Solid Figures, plus Symmetry and Dynamic Symmetry.